There’s no pretty way to put this, really. I have been holding on to so many library books that I have had to re-check them five times. That’s 15 weeks, people. These books are long read, yet because of [insert excuse here], they are still sitting on my desk. Well, the trumpets are sounding. All have to be returned to the library, so I have to do something. Many of these books were really, really good. So it’s not like I am dreading writing the reviews because I didn’t like them; no, I just got busy and the longer I stayed away, the more I ignored that pile on my desk. What I’ve decided to do is just make a list of what I read and rate them. With a sentence or two to keep them company and to elaborate a little bit, anyway. Now this will by no means get me back on track completely as I have many books that I got for free or bought myself that still need to be written about, but I am going to try to get those reviews accomplished over the winter break. 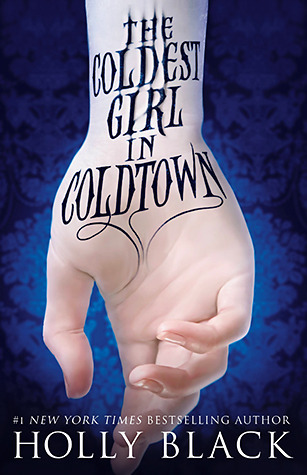 The Coldest Girl in Coldtown by Holly Black. My husband had read about this book and thought that I’d like it. I had seen the cover pictured several times, so I was intrigued. It’s the story of a world where there are Coldtowns, compounds of sorts, where the vampires must stay. “Regular” people can go there, but once they do, they cannot leave (unless – there’s always an unless). 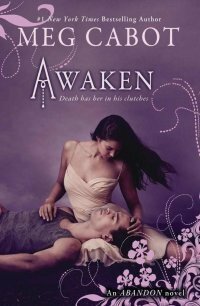 Tana awakens after a house party and finds that she is the only person who survived a mass vampire attack. When she realizes that her ex-boyfriend and one other are still in the house (and bitten), she decides to help them escape. Through a series of happenings, she ends up in the local Coldtown looking for answers. Though this is decidedly not a cheerful read, and you spend a lot of the book [maybe a spoiler] wondering if she is going to stay human, there is an electricity to the story, with lots of mystery, vampires that act more like monsters than Cullens, reality TV, good/evil/gray area. A gothic read that draws you into a dark, corrupt world. Awaken by Meg Cabot. The third and last book in the Abandon series, I have been awaiting the conclusion for what seems like forever. The tale centers around the fated love between Pierce Olivera and Mr. Underworld, John Hayden. Currently “working” for John, helping to ferry the dead across to their final location, she discovers that there are problems brewing in purgatory. The Furies are, well, furious, and they are coming for battle. It’s the final showdown. Meg Cabot books come in many different flavors. She writes for a large variety of age groups and in many styles. Some of her titles are a quick, fun read; some are deeper and with more substance (and I personally like both of them). This series, though, is by far my favorite. I love the Greek myths, the characters and the action. Even the secondary characters are very well-developed. 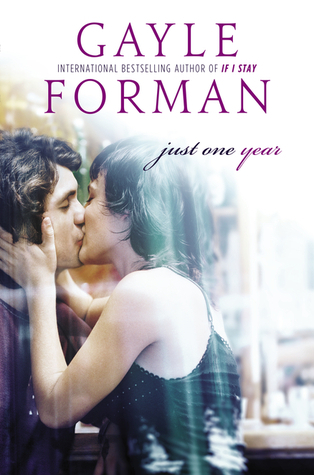 Just One Year by Gayle Forman. Ah, Gayle Forman. So glad to have met your writing. She is, by far, one of my favorites. Sure, she writes of love and loss, but it’s never as simple as that. It’s how she presents the stories, the scenery, the topic, the backstories. All of these are so expertly woven into an amazingly three-dimensional movie in your head. Where the characters interact is always a big part; in fact, it is practically a character itself. This is the second installment of the Just One Day series. This is told from Willem’s point of view, and it begins [spoiler if you haven’t read the first book] when he leaves Allyson. What I really love is how small things, but things that you remember nonetheless, from the first book reappear here and clarify things that you probably saw differently in Just One Day. You really get to know Willem, his relationship to his parents, his need for travel, the women in his life. This book really deserves a review of its own, so I am sorry to jam it into this year-end spectacular – especially since I read it twice. (I honestly don’t know the last time I read a book twice.) If you haven’t read the series, or, God forbid, any of Ms. Forman’s books, do yourself a favor and use some of the Hanukkah gelt or Christmas money or Kwanzaa cash or Festivus funds (or just go to your local library) and commence to diving into a pool of sheer deliciousness. 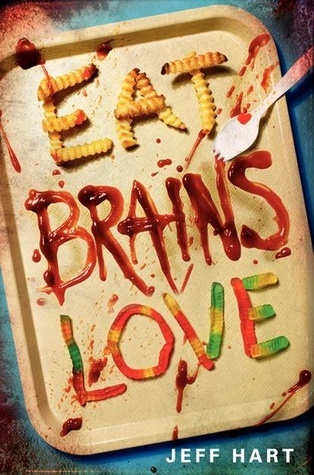 Eat, Brains, Love by Jeff Hart. My daughter and I saw this at the library, so she checked it out. I read it when she was finished, and it was a fun read about zombies. Yeah, I said fun. Of course there’s people eating, but these people infected with the zombie virus are only gray and drooling when they need to eat. Otherwise, they are a couple of super nice kids trying to survive. So a slacker and Miss Super Popular are both infected, and have to go on the run after an, uh, incident in the school cafeteria. The problem is that the government is quite aware of the zombie problem, and it has been well-hidden. There’s also a teen who can look into the minds of others that works for the containment unit and it’s her job to try and manipulate the persons exposed to these attacks into thinking something else happened. You don’t want to scare the whole world, right? Flirting in Italian by Lauren Henderson. I remember seeing the cover for this book, and it looked good. Who can resist a purple Vespa, I ask you? Violet Routledge is an English girl who looks nothing like her Norwegian mother and Scottish father. When she sees a painting in a museum that is her twin, she must know more about it. Could she be adopted? Could she actually be related to the person in the painting? Only one way to find out – get her overly involved mother to let her travel to Italy for the summer under the guise of adding some needed bulk to her college applications. In reality, she is going to be near the villa where the aristocratic girl in the painting was from. I really enjoyed this story, and I can’t wait to read the second in the series. Hot Italian boys, new friends, bitchy family members and a wonderful mystery. Sì, grazie. 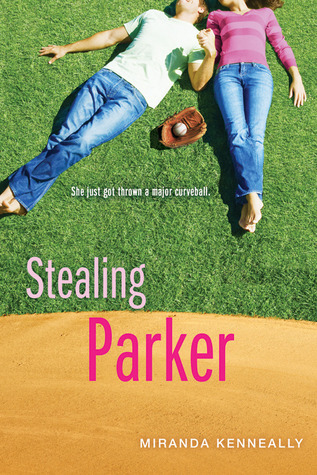 Stealing Parker by Miranda Kenneally. The cover and the title really don’t show the complexity of this story here. Without giving too much away, it covers scandal, church (and how churchy people can react to scandal), what it means to be a friend (especially if the both of you like the same guy), how to be yourself, and how to forgive. Parker’s mom came out and moved in with her girlfriend in another city. Parker is floored, and the very people who are supposed to comfort judge instead. Worst of all, she ditches her place where she feels the strongest because she doesn’t want the town to think that she’s a lesbian, too. She gives up softball and ends up losing her friends. The only one who stays by her side throughout is her best friend Drew. Suddenly she’s turned into someone who will kiss any boy to prove she’s not her mother, and she has cut her mother out of her life completely. Tired of it all, is Parker ready to face it all head-on? Great mini reviews Audrey. This will probably sound weird but last night while lying in bed I thought..you know what I haven’t gotten a post in forever in my mailbox from Audrey. I wonder if she is still blogging. I was tickled to see this post today! I took a little bit of a break…other stuff going on that took priority as well as a little bit of burn out. Hope you’ll join me in my “what should I read next” interviews!